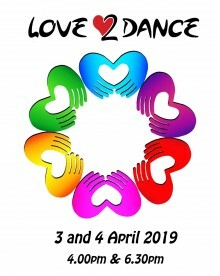 Knole Sports Partnership’s annual dance show, Love 2 Dance, offers many partnership schools the opportunity to showcase their students’ talent in dance, giving them their moment in the spotlight. Love 2 Dance brings together over 1000 young people and over 1800 friends and family in the audience. Clare Strange, Sports Co-ordinator, Curriculum Outreach and PE advisor at Knole is looking for local businesses to support this event by sponsoring a school. The Cost is only £50.00 and includes an ad space in the event programme and the opportunity to be included on the school’s website. The schools network reaches over 10,000 families in Sevenoaks. This opportunity will benefit your company and also help Knole Sports Partnerships mission to keep events free for the participating schools and help maintain an inclusive community within Sevenoaks.